The beautiful Pachelbel Canon in D major chord sequence is the basis of many pop music hits. 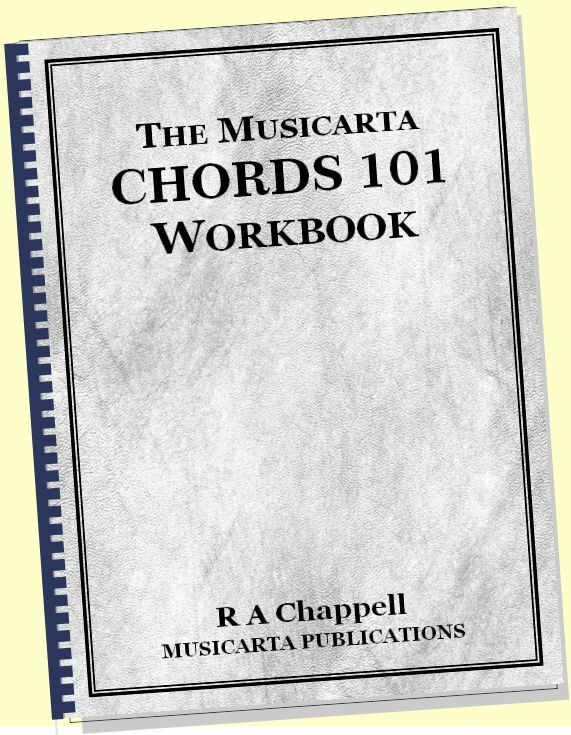 Musicarta’s home-study download is the ideal way to learning how to play this, and any chord sequence. This is the series home page of the Musicarta Canon Project. This page will help you decide whether the Canon project is the keyboard creativity home study programme for you. In addition to this page, there are four more detailed sample content pages and a work-book table of contents. You will find links to these and other Canon Project-related material in the right hand navigation. 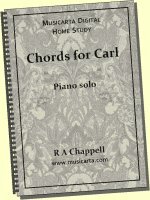 Pachelbel’s Canon in D major is the ideal place to learn about chords and how to play chord sequences. The Canon’s simple and attractive chords repeat under evolving melodic figures – the perfect conditions for learning about harmony, melody writing and improvisation. Here is an arrangement from the very first module. You are playing the piano part with two hands over one of the backing tracks included in the download. 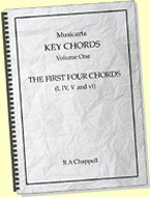 And although it dates from the classical era, the Canon’s timeless chord sequence forms the basis of numerous pieces of popular music, so you can apply the keyboard skills and theory learned in this series of lessons to many other songs going forward. Here is an example of how the Canon chord sequence can as easily sound like a 60s Motown song. What is the Musicarta Canon Project? The Musicarta Canon Project is an exciting, practical video course which will teach you numerous ways to play the versatile and beautiful Canon chord sequence in a thousand different ways. In the very first module, you play thirds over a backing track, as you saw above. Each module then adds another easily understandable piece to your personal Canon performance, explaining, with numerous illustrations, where the new material comes from and showing you how to practice it. Here’s how your performance has developed by Module Five. Who is the Canon Project for? Great for ambitious young keyboard players. If you’re thinking your future might lie in popular music, you want to get a lead and start building a solid foundation of ‘practical theory’ straight away. 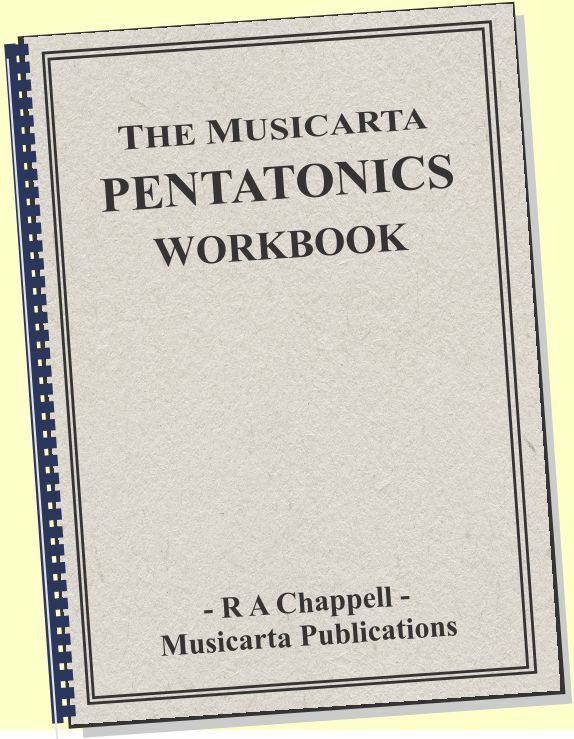 The Musicarta Canon Project has your needs and abilities in mind, and teaches you theory you can use in a progressive, step-by-step way. Great for classical crossovers. If you’ve followed the traditional approach to learning the piano, you’re probably very good at playing the piano. The Musicarta Canon Project aims to balance your technical expertise with a chord-based keyboard creativity method which leads to free improvisation. Great for adult re-starters and continuers. Adults who had piano lessons in their youth often feel that they didn’t really satisfy their original creative urge. The Musicarta Canon Project offers a perfect opportunity to revitalize that hard-earned expertise and start actually making music in a structured, supported way. Perfect continuing education for semi-pro and pro musicians. If you’re already in the music business as a performer, session musician or songwriter-arranger, you’ll know the importance of having the right harmonies and textures at your fingertips. The Musicarta Canon Project is sure to inspire you to keep those ideas coming! 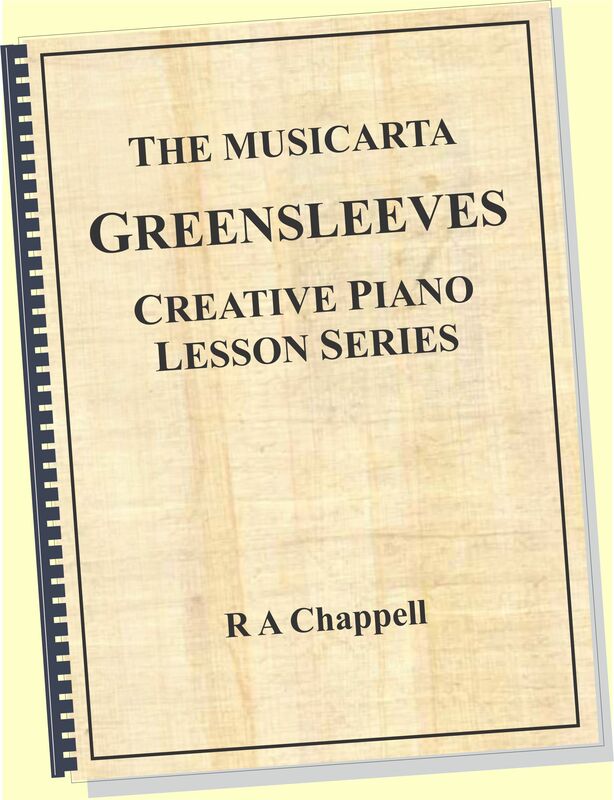 Great for piano teachers and school music departments. Today’s music pupils are demanding a more rounded musical curriculum, and the Musicarta Canon Project is an ideal supplement to traditional music lessons, teaching theory, harmony and improvisation in an attractive, contemporary way. Click through to the free content sample pages to see if the Canon Project is for you. What’s in the Canon Project? How do I get it? A 200-page Adobe PDF file, optimised with internal navigation and formatted to fit both US Letter and A4 paper. Access to web pages which replicate the Workbook with audio and video files of the musical examples. 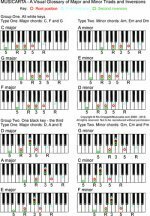 The MIDI files for the course's 300-plus musical examples, carefully arranged and referenced for easy studying, to play on the free MIDI file player virtual keyboard MidiPiano (see below)*. Backing tracks and drum tracks to support your practice and improvisation. 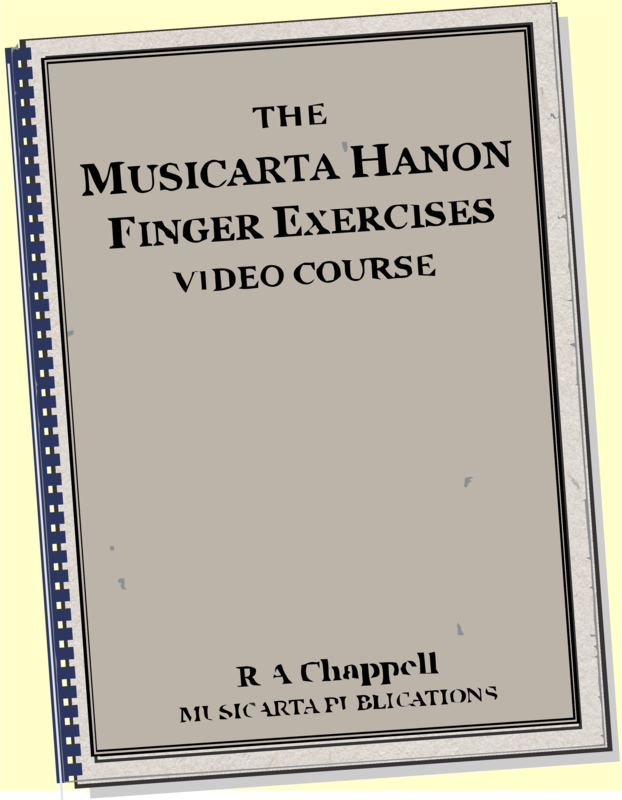 * Note that the Musicarta Canon Project is now a fully-fledged video course with talk-throughs of every module and on-page videos of every musical example (where necessary). The MIDI file download now simply covers for web-free studying eventualities. What happens when I click on the ‘Buy now!’ button? You will be taken to the E-junkie check-out page where you can pay using your PayPal account or your regular credit card. Once your payment has gone through, E-junkie will automatically send you your secure download link. You have five attempts and 24 hours to get your download. If you experience difficulties, contact Musicarta via webmaster@musicarta.com. You WILL get your download! To avoid frustration, try to download outside of peak traffic hours, and temporarily disable any ‘accelerated download’ tool bars you might have installed - these will use up all your download attempts in one go. Your purchase receipt email comes with the link to the password-protected 'Members Only' website pages to accompany your study. Click through, 'remember password' and book-mark a page and you won't have to think about it again! The Canon Project is available as a print-on-demand title from Amazon Books. Purchase of the Amazon Books version automatically entitles you to free download of the Canon Project audio and MIDI support material but does not include access to the module web pages. Send details of your purchase transaction to: webmaster@musicarta.com for your free download link. You do not need ... any special computer skills or computer music (MIDI) know-how. You ‘open’ and ‘play’ MIDI files in MidiPiano exactly the same as audio tracks in your media player. You do not need ... to be able to read music. 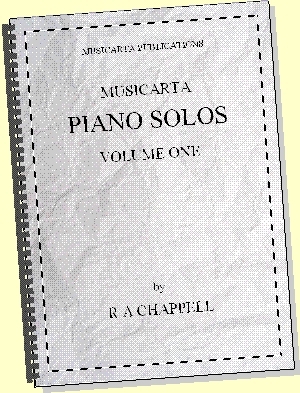 Everything is presented so that non-readers can learn, too, with keyboard diagrams, audio files and see-what-you-play MidiPiano files of examples. Musicarta is a field-leader in ‘dot-free’ musical education! You do not need ... a college education. The Musicarta Canon Project is a practical and genuinely multi-level course. The only music theory in the Canon Project is 'theory you can use' – but you can still skip it and learn more useful keyboard skills, in a shorter time, than you can any other way outside of a full-time college music course. Every care is taken to make sure your Canon study programme gets off to a good start and moves forward smoothly and efficiently. ‘Preparing to Learn’, the first section of the Musicarta Canon Project, makes sure you manage the project resources successfully and effectively. ‘Preparing to Learn’ includes getting to grips with the Canon key of D major, with its two black keys. The key of D is an easy one to learn and a great first departure from all-white-key C major. Self-taught musicians especially will benefit from help mastering a black-key key and understanding key signatures, but you do not have to master exam-level scale-playing before you get on with building your Canon arrangements. It’s easy, when learning on your own, to let yourself get away with slowing down, and repeated delays! The Canon Project helps you overcome this with custom-made instrumental backing and drum tracks at a variety of speeds to support your practicing and inspire your improvisations. Backing tracks not only help you practice ‘just keeping going’, but also add another dimension of enjoyment to your playing. There is plenty of practical, entry-level advice on handling backing tracks in the Canon Project work-book. Hear more examples on the sample content pages. The music theory you’ll learn in the Musicarta Canon Project is easy to understand, but without applying your knowledge right away, it doesn’t ‘stick’. That’s why Canon Project modules teach you the theory, relate it to a keyboard skill and also offer you a practical challenge to apply your new knowledge. The ‘answers’ to these challenges are collected in a linked section at the end of the work-book and presented at the end of the relevant module web page, with written music, audio and video demonstrations, so you’re bound to ‘get it’! Playing the Pachelbel Canon in D will always be a pleasure, but studying this ‘mother' chord sequence the Musicarta way can be just the start of a life-time’s creative keyboard enjoyment. Musical elements become apparent that no amount of just copying riffs will teach you. Knowing one chord sequence really well is a must for improvising, too, and is essential when you start learning to transpose (play the chord sequence in other keys). Getting used to thinking about the ‘shape’ of chord sequences is an important element in songwriting and composition. You can see how the author has continued to ‘mine’ the Canon chord sequence for compositions on the Mister Musicarta YouTube Canon Diaries playlist. 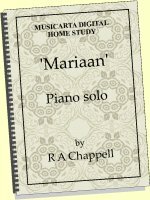 Full teaching notes for these piano solos and chord theory work-outs are included in the new Musicarta Canon Project edition. The Canon Project will continue to be supported at Musicarta, with audio challenges and showcase performances, teaching notes and feedback – but you will need to have worked through the study programme to get maximum benefit. Click through here to further Pachelbel Canon in D major content sample pages.